I was birding yesterday in western Minnehaha County, and drove on a gravel road that split a large wetland area. The cattails were right next to the road, making it difficult to peer into the wetland, but in a few places there were breaks in the vegetation. 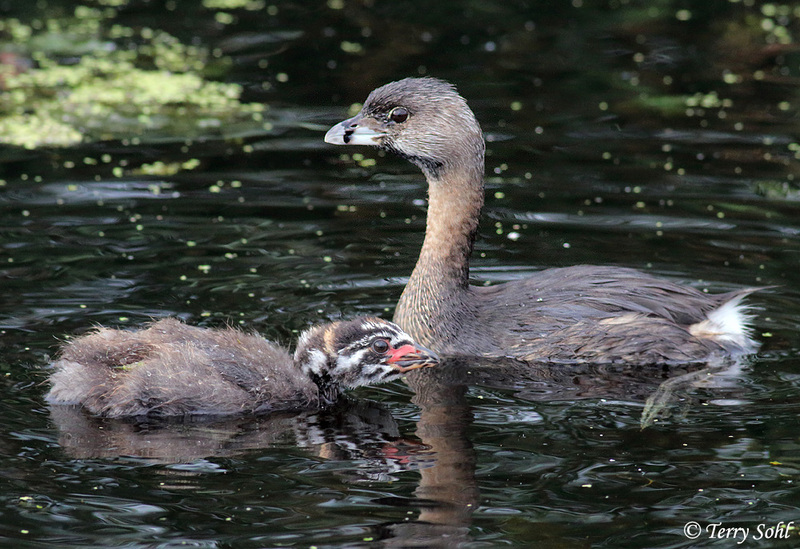 As I slowly drove drove past one of the breaks, a Pied-billed Grebe and its young came swimming out of the thick reeds. Neither were particularly concerned with my presence, so I shut the car off and watched for a while. The adult would dive under water in search of prey, and when she popped up, the fledgling grebe would let out a whining call and quickly swim over to the parent. 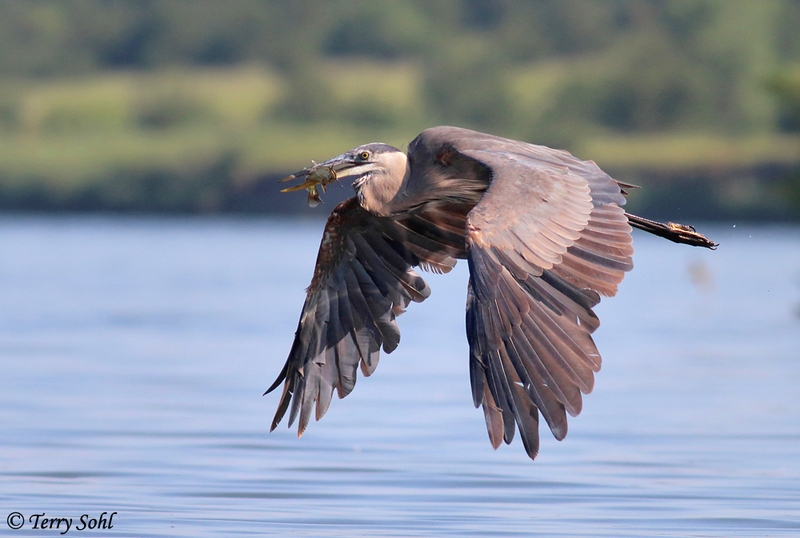 Once she came up with a relatively large fish (for her size), but despite the young one’s pleas, she downed it herself and returned to hunting. In the ten minutes or so that I watched the pair, I never saw the young one’s pleas answered, but she always stayed close to mom. Fades away as summer ends. 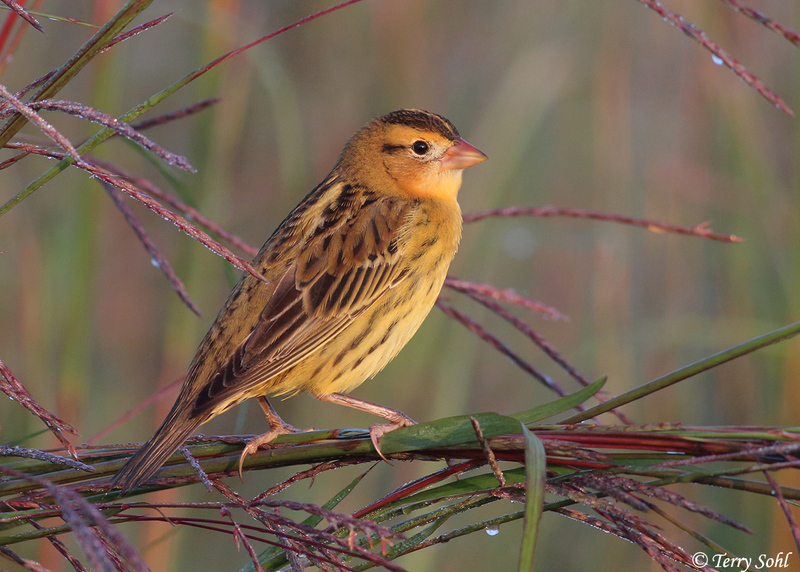 Bobolink in the warm dawn sun. This morning I went to a remnant tallgrass prairie patch and found a small group of Bobolinks. 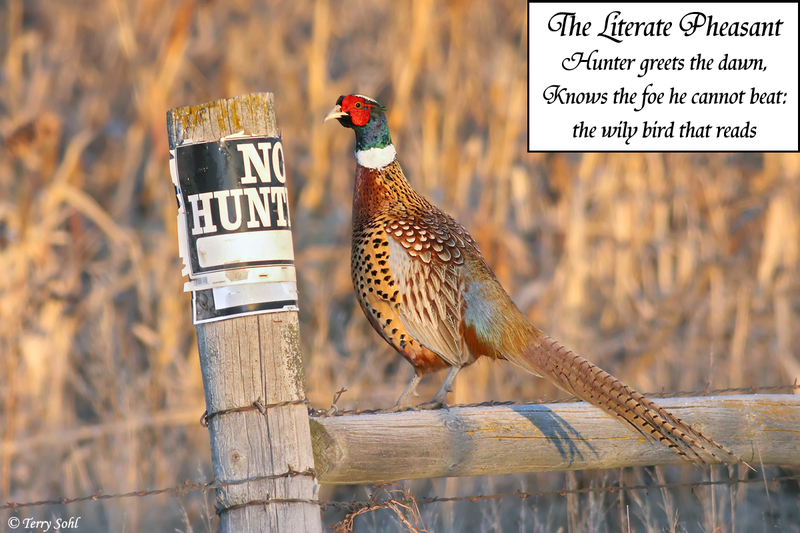 Males have lost their bold black-and-white breeding plumage, and share the same warm brown plumage as the females now. Rather than post as simply the “photo of the day”, thought today we’d take it one step further to my first ever “Photo / Haiku of the day”. Not a good day birding. I went out this morning in the gray and the gloom, knowing the light wasn’t very good for bird photography, but I thought I’d try anyway. 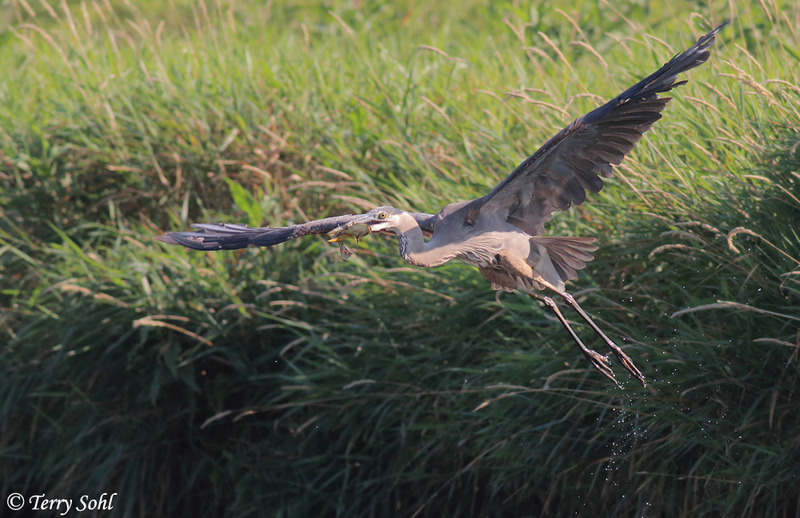 Not only didn’t I get any photos, the birding itself was rather slow. Upon arriving back home I thought I’d change focus. I hadn’t gotten my macro lens out in a while, so decided to go on a “backyard safari”, looking for little critters that inhabit the yard. 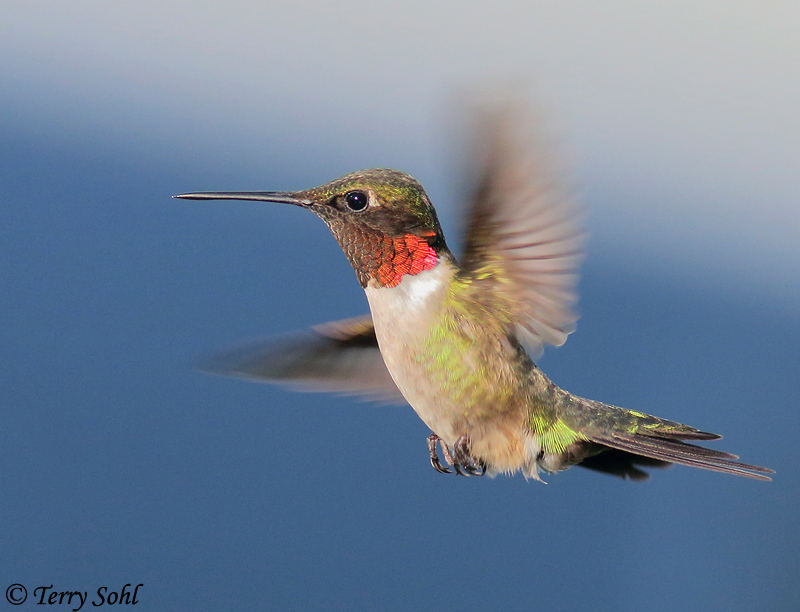 The nice thing about a backyard safari is that they never disappoint! Well, in SUMMER they never disappoint, because you always find plenty of insects and other small critters in the yard. There were a couple of highlights today. First were the White-lined Sphinx Moths that were gorging on nectar from a big honeysuckle. Not a rare species, but given their size, you always do a double-take when you first see them. They were moving pretty quickly from flower to flower, making photography a challenge, but with time (and a lot of deleted photos), I managed a few decent photos. The second highlight were a couple of surprises on the butterfly weed I had planted. I wasn’t ever clear if the variety I bought was truly a form of milkweed. Sure, butterflies loved the blooms, but would Monarch Butterflies treat it as they do all the wild, Common Milkweed that’s around here? Would they lay eggs? That was answered today, when I found two caterpillars, one quite large, and one small. I don’t have a really large area of butterfly weed, but seeing those Monarch caterpillars today makes me want to plant some more. 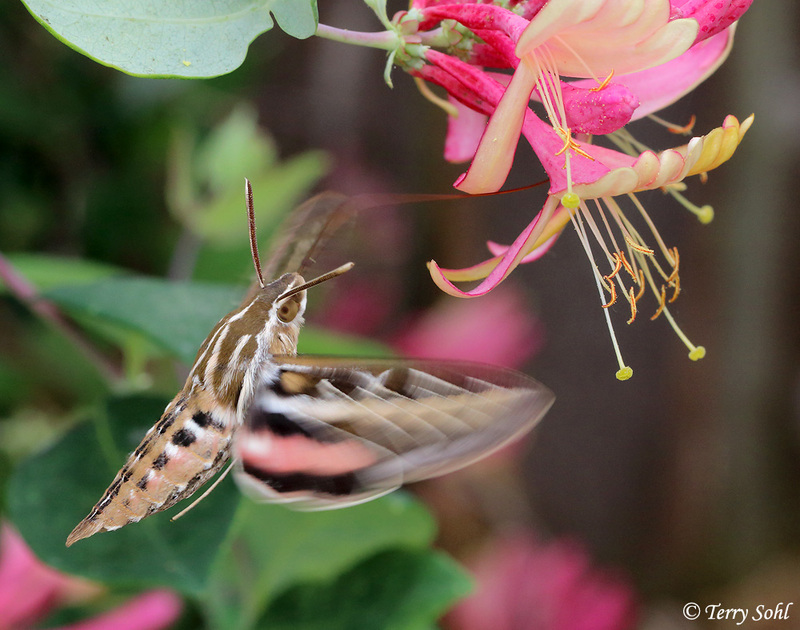 White-lined Sphinx Moth (Hyles lineata), feeding on nectar from our massive honeysuckle in the back yard. There were 2 or 3 hanging around the backyard, with the honeysuckle drawing the most interest by far. 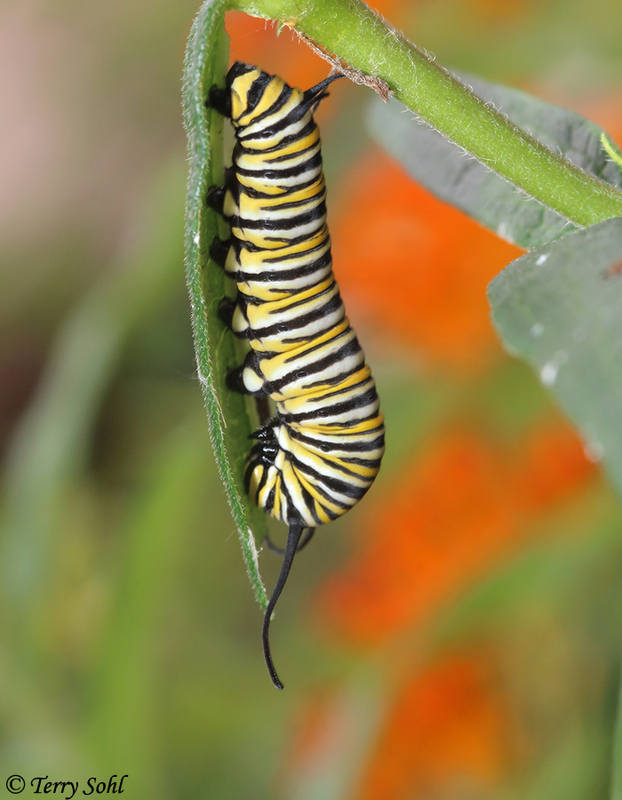 (Monarch Butterfly (Danaus plexippus) caterpillar, hanging around on my “butterfly weed”. According to this guy…yes…yes indeed…this IS a form of milkweed. 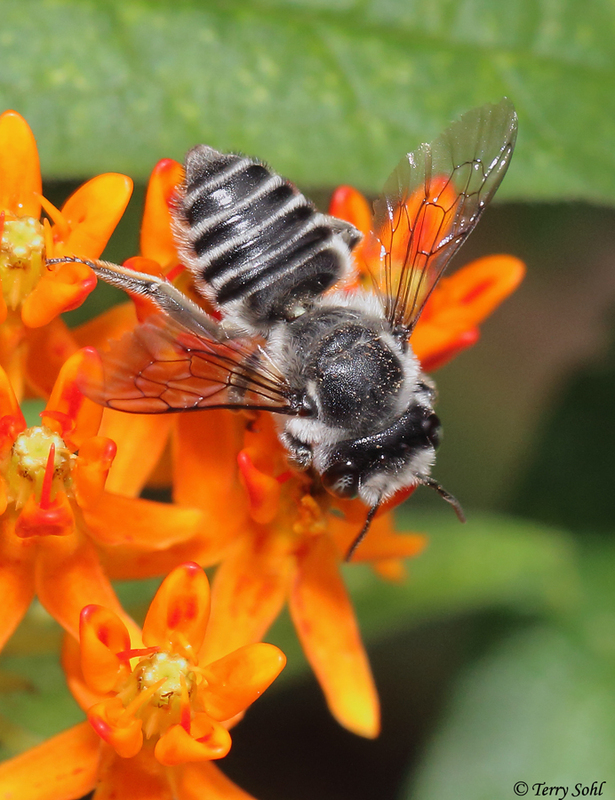 A Leafcutter Bee, hanging out on the same Butterfly Weed plant as the two Monarch caterpillars. 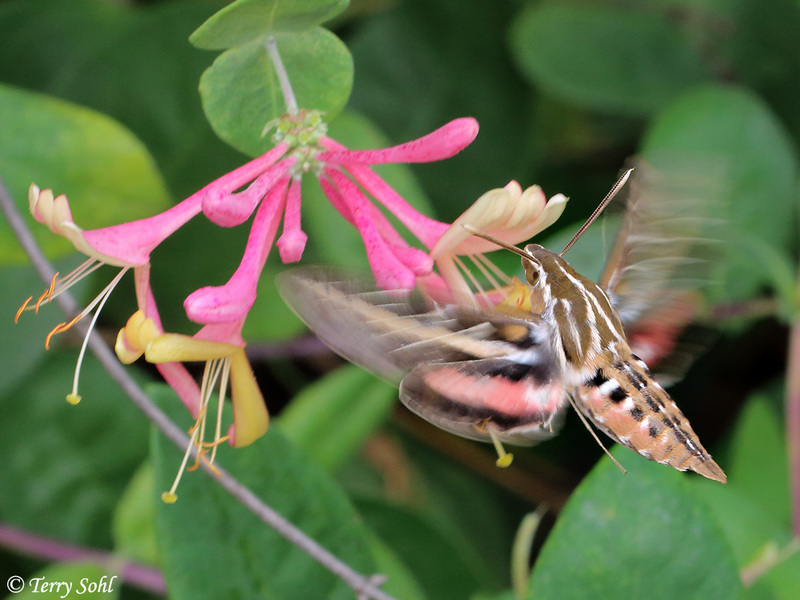 Another White-lined Sphinx Moth at the honeysuckle. Canada Jay? Gray Jay? Make up your mind AOU!! It’s 3:00 AM. I’m not sleeping, so figured I might as well do something productive and work on my website. It’s a never-ending task, trying to maintain a massive, out-of-control website as a hobby, when you have a full-time job and a family life. The American Ornithological Union (AOU) doesn’t make it any easier on me!! Or I guess they’re now the American Ornithological Society, but still call themselves the AOU? It’s hard keep their name-changes straight. What’s even harder is trying to keep up with all of their changes to common and scientific bird names. 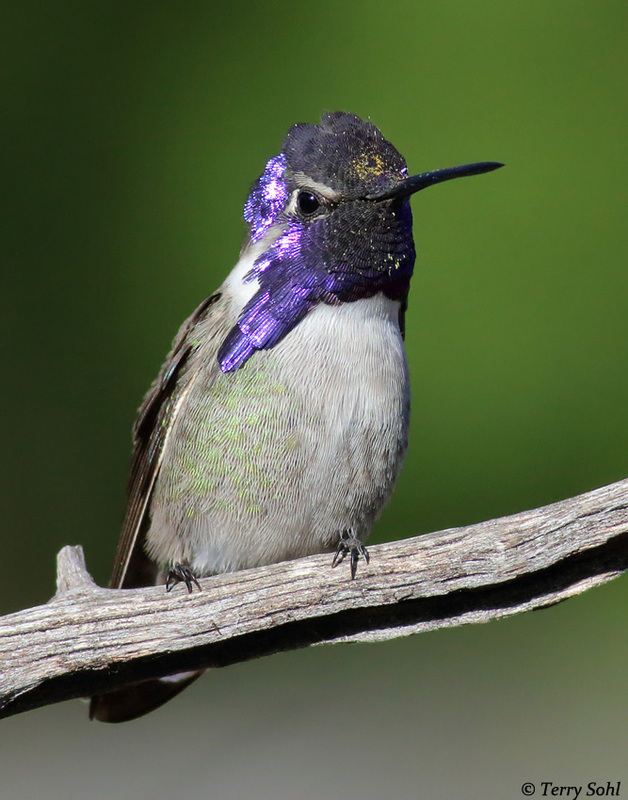 Every year the AOU releases an official “supplement” to their official list of North American Birds. On June 27th, they released their 59th supplement. It’s an annual event I’ve learned to dread, and this year is no different. They have made a number of changes to their official list, and it’s worse than usual, in terms of name changes. About half of all North American woodpeckers have had their scientific names changed, with all the Picoides woodpeckers (including birds like Hairy, Downy, and Red-cockaded Woodpecker) being changed to Dryobates. 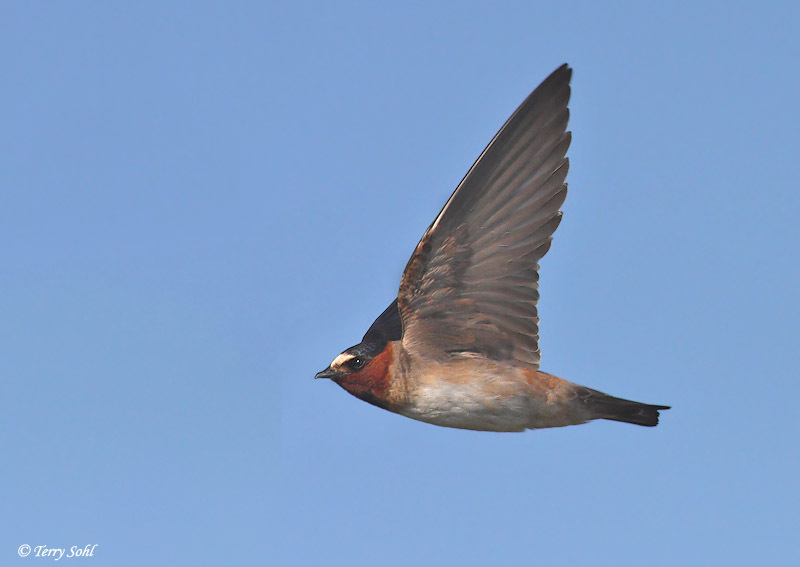 Many sparrows have similarly changed, with Ammodramus sparrows (including my favorite, Le Conte’s, as well as Nelson’s, Baird’s, and several others) have changed to Ammospiza. In all, 33 names have changed this year!! The “official” linear sequence in the taxonomy has also changed…a lot…but that’s not something I worry about too much with my website. I DO have to go in and update all the names, however. So no time like the present, right? What else does one do at 3:00 in the morning? It’s going to take awhile, so for now I just focused on fixing the pages associated with the Canada Jay. This is one name change I can get behind, however. The name had been Canada Jay for decades, up until 1957 when the AOU inexplicably changed the name to Gray Jay. 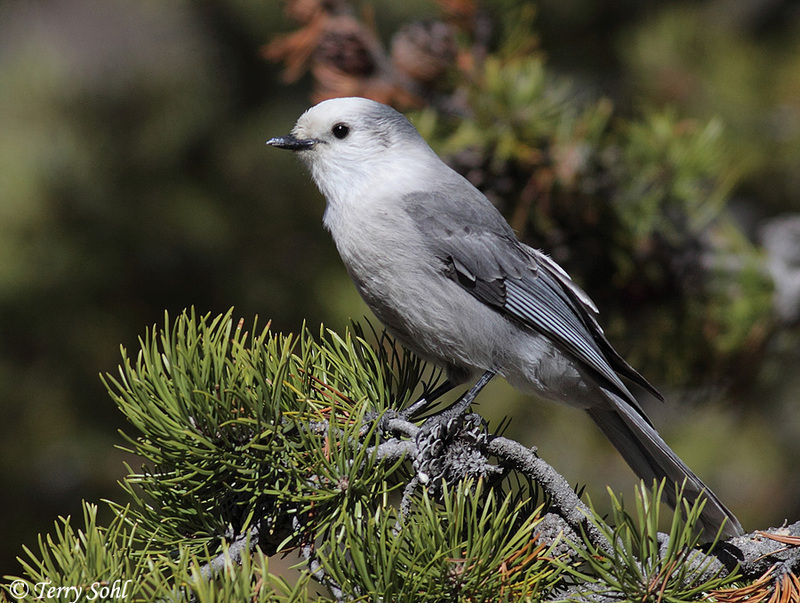 As this piece from Audubon notes, the name Canada Jay was a source of pride for Canadians, and had such a long history, with John James Audubon using that name on his iconic artwork of the species. Canadians took it as an affront when the name change occurred, not only because the “Canada” naming convention was changed, but because the AOU used the Americanized spelling of “Gray” (as opposed to “Grey”). Dan Strickland, who had been studying Canada Jays for decades, proposed the name change to the AOU, and they accepted on a nearly unanimous vote. As they noted, it was some curious and rather arbitrary decision making back in the 1950s that led to the name change from Canada to Gray Jay, and there really wasn’t any justification for keeping that name. GIven the history outlined in that Audubon piece, it’s a decision that certainly makes sense…a wrong that has been made right. But that doesn’t make it any easier on my website maintenance! It took a little while, but I’ve completed the required changes on my website, changing all web pages, photos, and other files to the new name. One species down. Over thirty more to go for this year’s AOU update! But in honor of my one tiny step in accounting for this year’s AOU updates, the Photo of the Day for today is a Canada Jay, from Yellowstone National Park. Today’s photo of the day, a CANADA Jay, taken in 2012 in Yellowstone National Park. One species name change from the AOU, resulting in over 30 files and web pages on my website where I had to make edits!